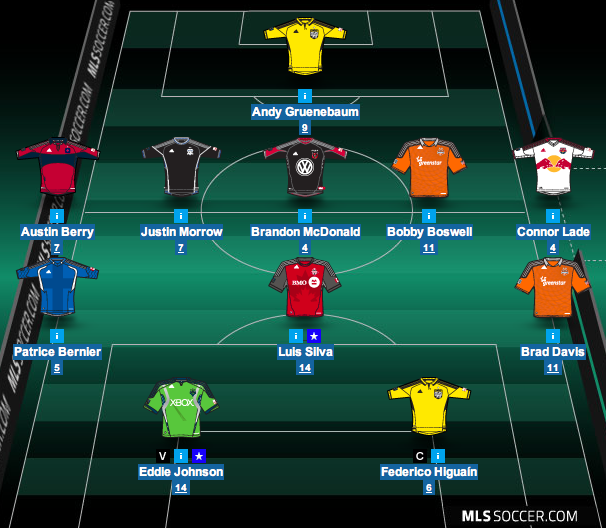 It was a long round in the MLS Fantasy Manager game but a damn good one for team WVH AC. My squad took the extra couple of games and pulled out a nice 92 point week. The one big drawback for the round was having Dwayne De Rosario. He ended up on the bench since he didn’t play in the round but boy it would have been nice to use his salary on someone else for the week. At least for the next round I’ll have some flexibility with my cap space to move a couple players around now that DeRo is out for the year. How did your team do in this round? Be sure to Like the WVHooligan Facebook page.